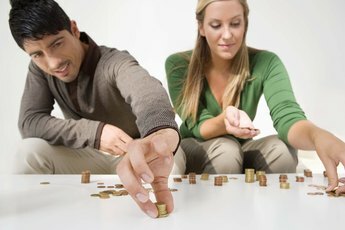 How Much Should Married Individuals Have in Savings? Couples save for emergencies, planned purchases and to build a nest egg. Many financial experts recommend setting aside enough money to pay your living expenses for at least three to six months. 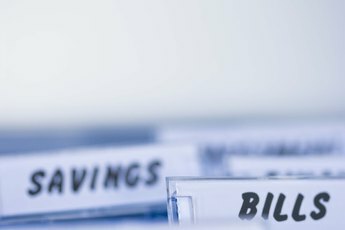 While the three-to-six-month rule is a good place to start to create a safety net, people start savings accounts for reasons other than emergencies. 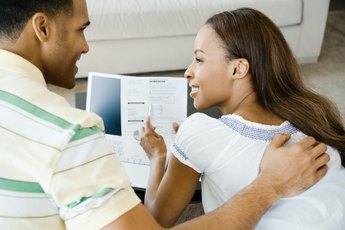 Couples also save for short-term goals, such as vacations or the purchase of an appliance, or for long-term goals, such as the purchase of a home. How much money married people have in savings depends on their specific needs and goals, the type and purpose of the savings account and the availability of other resources. Emergency savings pay for unexpected expenses, such as car repairs, or cover living expenses when the loss of a job or an illness affects income. 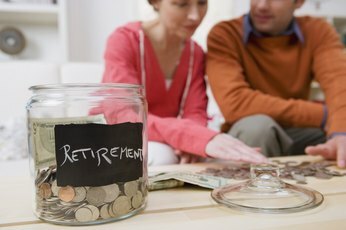 Building enough savings to cover living expenses over a prolonged period might be a challenge for some married couples, but the amount of savings that is right for you depends on your circumstances. The savings plan for a couple who have a mortgage, car payment and two salaries might be different than the savings plan of a couple who rent a home, have one salary and have a stay-at-home mother with a small child. Other factors that affect the size of your emergency fund are job security, the health of family members and job benefits, such as disability and health care. Savings of three months living expenses could work for a couple with limited income and a well-defined plan to access other resources, such as unemployment insurance. Customizing your savings plan means making an honest assessment of how much stress your finances can stand and making adjustments as your circumstances change. Couples should use emergency accounts sparingly, making sure there really is an emergency that warrants withdrawing from the account. With that in mind, additional savings are necessary to achieve short-term financial goals, such as vacations or the purchase of an appliance, or for long-term financial goals, such as the purchase of a home. Saving for these goals, which occurs outside of building the emergency fund, helps couples establish good money management habits and avoid using unnecessary credit. In the absence of a specific financial goal, simply continuing the habit of saving will build your nest egg and create financial security. Although income, responsibilities, interests and personal needs affect savings habits, setting aside a fixed amount of money each pay is a good start. The University of Florida Extension recommends 5 percent to 10 percent of your take-home pay to begin developing the saving habit. You will need to develop a more detailed plan if you have a timeline for your savings plan. Saving a higher percentage of your pay can build your emergency fund more quickly. Plans to save for a vacation might involve a few months of discipline, while saving for the purchase of a home can involve more flexibility over time to reach your goal. Where you put your savings depends on how quickly you need to access it and the degree of risk you can afford, according to 360 Degrees of Financial Literacy. A traditional, low-risk savings account at your bank or credit union solves the issue of quick access and safety. Alternatives to low-interest savings accounts are money-market deposit accounts that have higher interest rates and little risk. High-risk savings options are not good choices for your emergency funds. Long-term investments don't allow for quick access and can result in penalties for early withdrawal. Long-term investments work best for long-term goals, such as the far-off purchase of a home, while a six-month certificate of deposit could meet your needs if you are saving for a short-term goal.